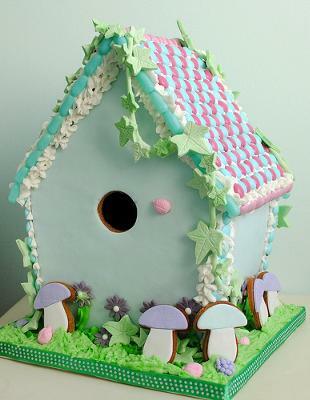 A woodland themed gingerbread house for a Woodland themed baby shower. This is so cute! Great workmanship! very inspiring.